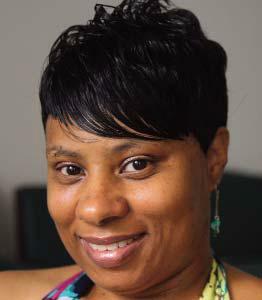 My Name is Tara McNeal At age 34 my life took a major turn when I discovered a lump in my breast. On July 7, 2006, I was diagnosed with breast cancer. I was told that the size of my cancer mass was 3 cm, and that I had to undergo a lumpectomy in order to have it removed. Since my cancer wasquickly aggressing, I immediately began a series of different treatments. From August 8, 2006 to November 28, 2006, I went through chemotherapy and had 36 radiation treatments daily. Eventually, my cancer entered into remission and, as of August 9, 2011, I reached my five-year clearing mark of being cancer free. Being diagnosed with cancer was a very long and difficult process for me – from the treatments to attending various support groups. However, having this illness has made me a better human being. I have learned to be more humble and to view life from a different perspective. Now, I find myself more heavenly involved in church and thanking God every chance I get that he has allowed me to see another day. Never again will I take anything for granted, and I will continue to live each day as best as I can. MY NAME IS TARA YVETTE MCNEAL, AND I AM A SURVIVOR!